It’s getting closer to performance time. The school that I am part of acquired a few lions about 8 years ago. They’ve been kept in storage since the retirement of my late Sifu and have never been used. Finally, with the revival of our school through my Sije Linda, these two bad boys are going to see the light of day for the first time. Their eye dotting ceremony will be the coming Saturday the 2/2/2013 and I’ve been busy making sure that everything is in place and won’t fall apart on us during the actual performance. 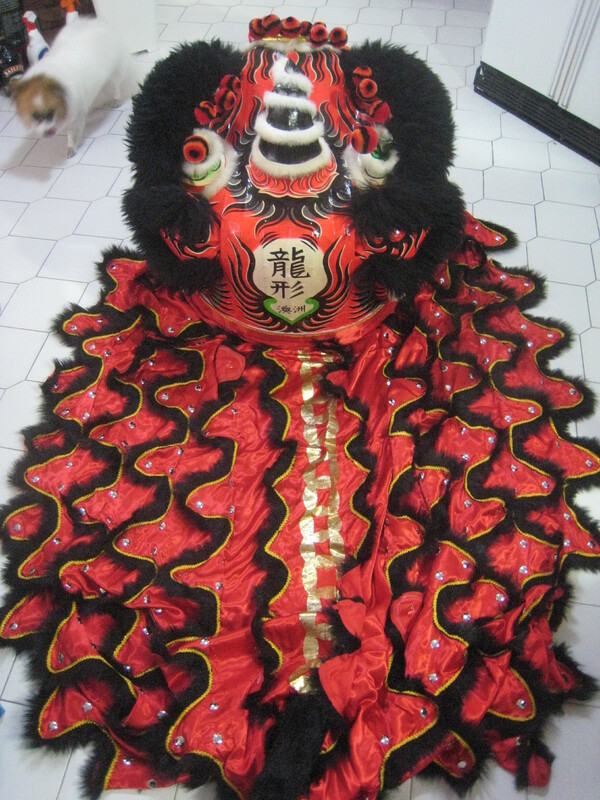 Who’s excited about Chinese New Year 2013?! cos I am. 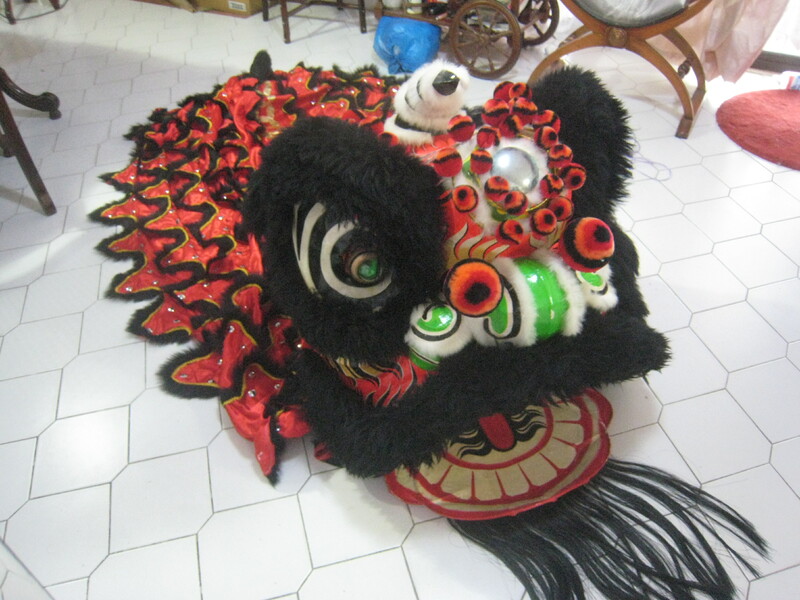 We’re having full preparation for the new years celebrations- at least 2 days worth of shop to shop street performances in our area, a private eye dotting ceremony for two of the team’s new lions as well as well as a public eye dotting ceremony to WAKE UP LION!!! I think it’s a pretty decent effort given that barr two people on the team, the remaining 15 or so have never lion danced before let alone been involved with it in any way. It’s all happening now. To make sure we’ve got one of the better looking lions around, I’m back to getting this lion into performance condition and have ordered the remaining parts I need from Hong Kong. I’ve racked my brains and searched everywhere for resources but I’ve decided that buying bristle fur is probably easier than buying nylon fishing line and making the fur myself, nor is fashioning the eyes from wooden closet door knobs. 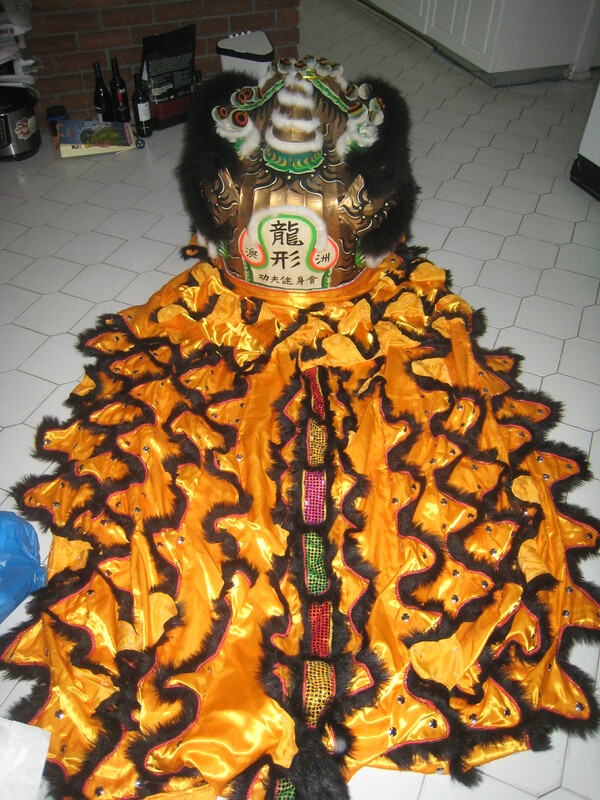 So I’ve ordered in a pair of eyes, a set of black bristle fur, a set of red and black pom poms (the ones I made just don’t cut it) as well as a black and white tail to go with the zheng fei lion that I last restored. 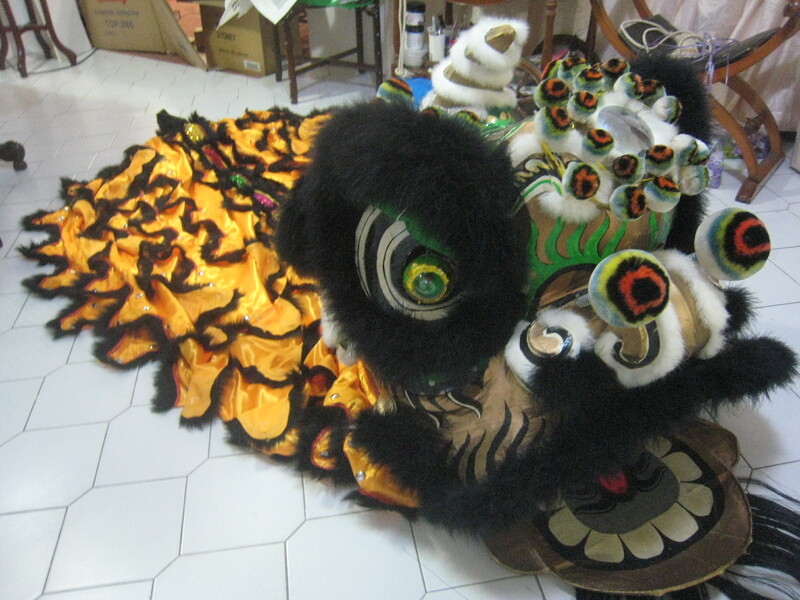 Hopefully all the parts come in before Chinese New Year or at least before the 16/2/2103 so this lion is ready to be woken up. 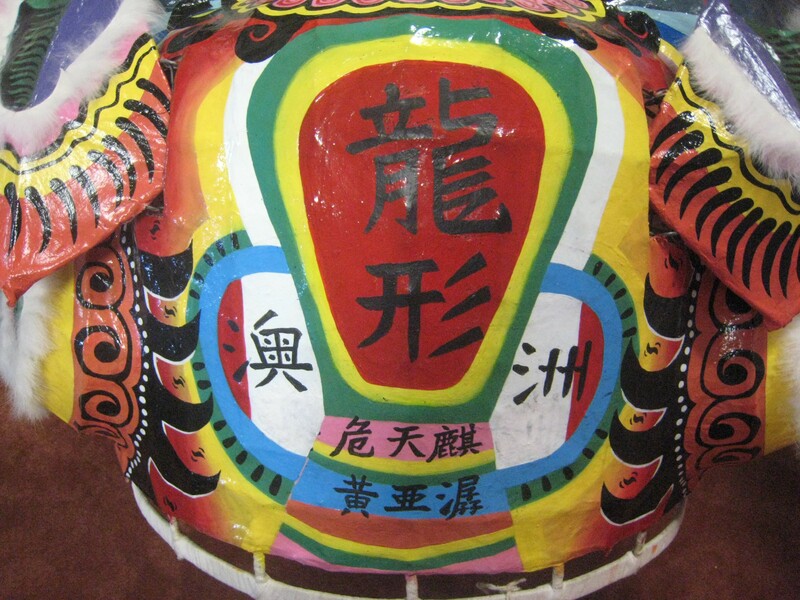 To get the ball rolling, with getting the lion into shape I enlisted the help of my mum to write the calligraphy on the back .